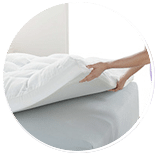 We provide mobile mattress cleaning service that is available to all in Kuala Lumpur, Selangor and other parts of Malaysia. 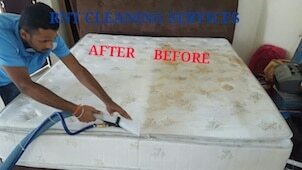 Our expert cleaners will come and clean and professionally treat your mattress at your home, to your satisfaction. Dust mites prefer to live in your mattress. A good mattress is far from a guarantee for healthy and restful sleep with the mobile mattress cleaning services. Especially if you have not slept on it for some time. Your mattress is a living space and breeding ground for millions of mites. The older the mattress is, the more roommates you have at night in your sleep. Because the tiny creatures of the arachnid family feel perfectly at ease in the damp, warm climate of their mattress. The mites do not have to worry about their feeding, because they deliver them to the house free of charge night after night, mainly in the form of dead skin cells. Mites droppings make you sick. The excretions of dust mites make you sick. Mites dung is a permanent attack on our immune system and one of the causes of house dust allergies. A runny nose, sneezing, eye tears, itching, and other complaints are the result. Even if your bed clothes are new and clean, and even if you change them daily, it will not protect you from the mites and their feces. Each of your movements during sleep whirls up dust from inside the mattress and gets into the room air. They then breathe these microparticles in their sleep. 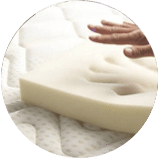 Using our deep mattress cleaning help to sanitize the mattress and ensures cleanliness in bed and removes dirt and allergens. You do not have to do without hygienic cleanliness in bed just because your mattress does not fit in any washing machine. 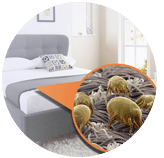 A mechanical mobile mattress deep cleaning according to our technology and eco cleaning procedure will effectively remove your mattress from mites and mite feces. Without any cleaning chemicals. Of course, no superheated steam or vacuuming is used. The mobile mattress cleaning services take place directly on site at your location. 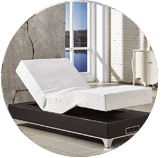 With this system, you can have any and every type of mattress cleaned and dust mite, bugs, and bacteria removed without having to take it out of bed. The application is quiet, dry and without chemicals. You can use your mattress again about an hour after our sanitizing process due to the fast drying cleaning procedure has end. The procedure is suitable for all types of residential bed mattresses. Better ventilation of the mattress. Our pro and special mattress cleaning may improve your sleep, result in a pleasant room climate and fresh smell. 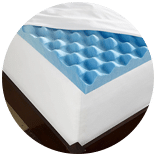 Tips on what you should not do to your mattress: Treat the mattress with moisture or chemicals products, treat with steam cleaners or cover the mattress with plastic wrap. 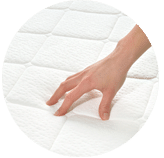 Our advice, have your mattress cleaned regularly to keep the mites at bay and sleep health as well as not trigger any allergies. 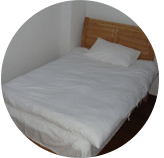 Please contact us today if you have any enquiries regarding our mobile mattress treatment and cleaning service, via call or send us a message right now for further information. Our customer service team will reply to your request within a few working hours to find out more and discuss further about the mobile mattress cleaning service that you require. Subsequently, we will issue you a quotation and an invoice for the mobile mattress cleaning service. Our mobile mattress cleaning service is available in Peninsula Malaysia from Kuala Lumpur, Selangor, Ipoh, Johor, Malacca and Penang. Speak to our team to enquire more about the mobile mattress cleaning service that we provide in your area. I have a special request for the mobile mattress cleaning service, can this be done? 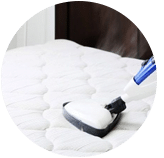 We understand that sometimes our customer have special requests for mobile mattress cleaning service with regards to timing and other matters. In this scenario, you can contact our customer representative team at 017-232-6491 to discuss your mobile mattress cleaning request.